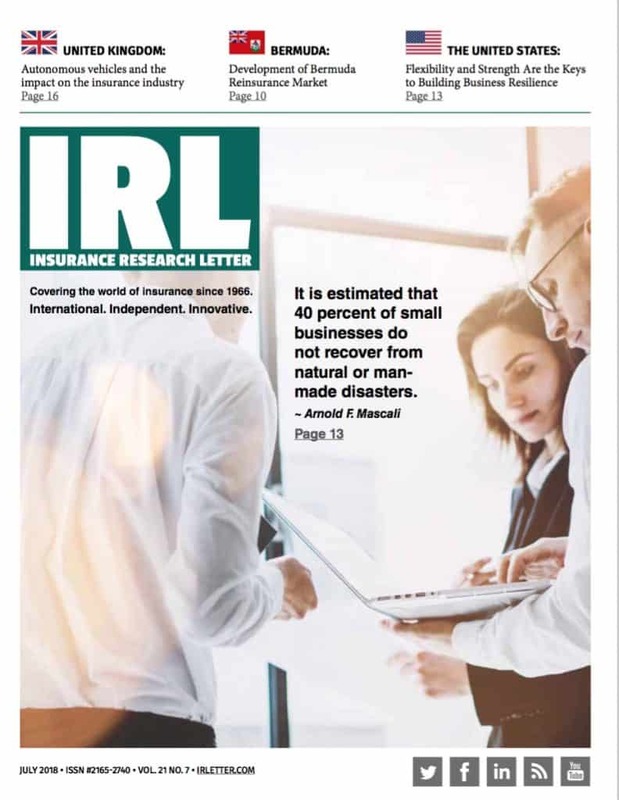 Arnold Mascali, President and Founder of Procor Solutions + Consulting, LLC., is featured in this month’s Insurance Research Letter. 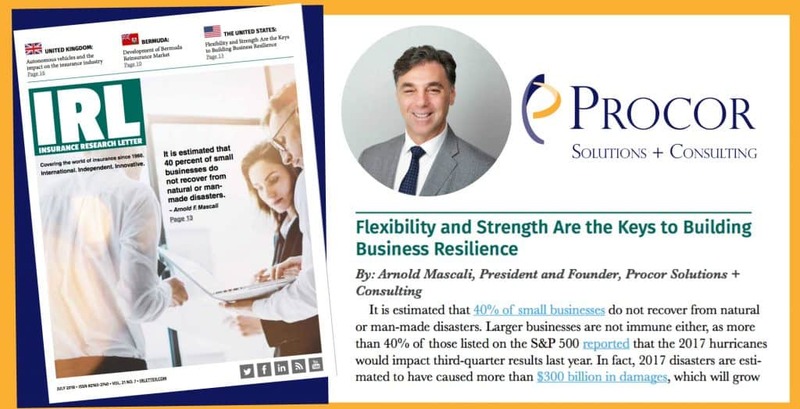 The July 2018 Insurance Research Letter article is titled Flexibility and Strength Are the Keys to Building Business Resilience. In the article, Mr. Mascali spotlights the keys to building business resiliency, as he has seen over his 25+ years in various segments of the Insurance Industry. Mr. Mascali brings a unique perspective and valuable insight to this article and to his clients every day.